Mississippi Gulf Coast's newest luxury high-rise property is the Legacy Towers Condominiums located at 2230 Beach Drive, Gulfport, MS 39507-1607 right on the Biloxi and Gulfport line. 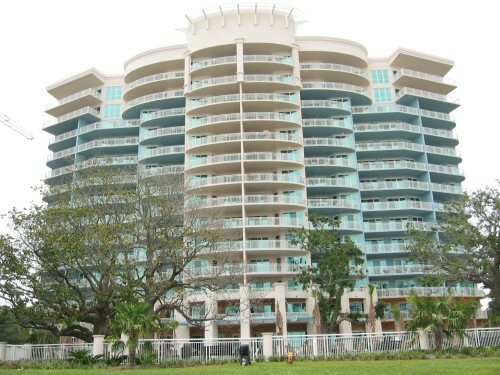 This THREE (3) BEDROOM/TWO (2) BATH luxury condominium opened in the Summer of 2005 and has a beautiful unobstructed panoramic view of the white sandy beaches on the Gulf of Mexico! This condo offers over 1600 square feet of luxury living space in addition to the huge balcony overlooking the Gulf which is accessible from both the master bedroom and living room. Our 2nd bedroom has a king sized bed with it's own television while the third bedroom has a queen sized bed, and its own television. There is also a queen sized sleeper in the Living Room. This unit is equipped with top of the line appliances, granite countertops and even a separate Wet Bar! And for those of you who can't be without your computers we offer FREE DSL INTERNET SERVICE and FREE local telephone calls. To make you feel right at home we also have a fully furnished kitchen, full sized washer and dryer, and an ironing board and iron. This condo has one covered parking garage space and other vehicles will have to park on the top of the parking deck. We are also just four blocks away from the Edgewater Mall and for the shop till you drop folks, the Prime Outlet Malls are just a few miles away. We are convenient to everything and our clubhouse even sports a full sized pool table and big screen television for just relaxing indoors while the gorgeous pool with waterfall is just a few steps away. Bring your workout clothes and stay in shape using the fully equipped workout room offering treadmills, stair-climbers, universal weight machine and free weights or just relax in the oversized hot tub with some friends.